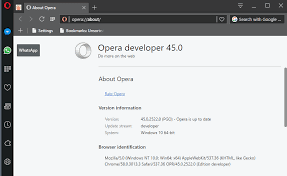 We all know Opera is one of the most popular browsers on mobile and personal computers. I can authoritatively tell you opera mini is the most popular mobile browser in Nigeria. 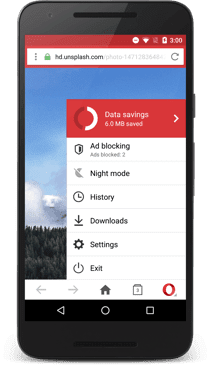 Reasons being because opera works with all data plans and save internet users lots of data. Now talking about update, when an opera browser has an updated version available it usually shows users pop up of the updated copy. But if yours does not ask you to update you can do this manually. >>Go to your opera browser and click the opera icon at the top of the browser window, thereafter select "About opera"
The system will check to see if your Opera is the latest version, if it is not opera will check for latest updates and if there is, it will start downloading the latest version automatically. >>When download is complete, Opera will prompt you to launch the browser by asking you to click "relaunch now". Please click relaunch immediately. >>When your update is complete and successful, Opera will display something like this; "opera is up to date"
The latest version of Opera "Opera 45 comes with side bar with Whatsapp. Always do well to update your browser whenever there is a latest version as there are lots of bug fixes and it also ensures your security online. The latest version comes with a whole lot of new features, why not try and see?